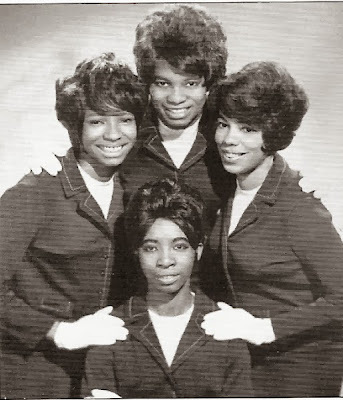 Lilly Hammond, Lorraine Robinson, Lois Joiner, and Margie Godbolt formed in high school in Jersey City, NJ. As the Tiaras, they competed in local talent shows with friends Phil Terrell and Kool & the Flames (an early rendition of Kool & the Gang). 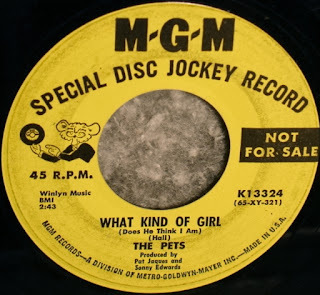 They got a deal with MGM Records, supervised by Abner Spector (“Sally Go Round the Roses”), and changed their name to the Pets. The deal resulted in one single, “What Kind of Girl (Does He Think I Am)” b/w “Nobody (Knows How Much I Love You)” (1965). Oliver Hall wrote both sides, but MGM didn’t promote the single and they axed the Pets. Phil Terrell introduced them to Winnie “Blue” Lovett of the Manhattans. Blue renamed them the Lovettes, wrote their material, and persuaded Joe Evans to sign them to Carnival Records. 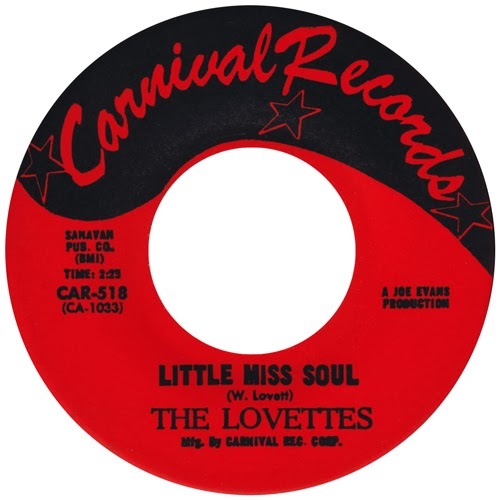 The first single, “Little Miss Soul” b/w “Lonely Girl” (1966), died in the States, but blew up in Northern England dance clubs in the ‘70s. The follow-up, “I Need a Guy” b/w “I'm Afraid (to Say I Love You)” (1967), had two-side hit potential. The A-side, with its snappy beat, infectious lyrics, and earnest singing, was sweet, and the B-side, a touching testimonial of young love, was even better, but Carnival couldn’t put the record over. The gigs didn’t pay much and weren’t exactly plentiful, and sporadic studio work backing Carnival’s other artists wasn’t paying many bills either. They exited the music business older, wiser, and grateful for the experience. The Lovettes had no connection with a Carnival group named the Pets (the Lovettes being their former name) nor the Lovettes who recorded on Checker Records before becoming the Gems.